The Academy Awards ceremony is a night of glamour and Hollywood pizzazz, but why should celebrities be the only ones having fun? We have a drinking game to play with your girlfriends during the Oscars. 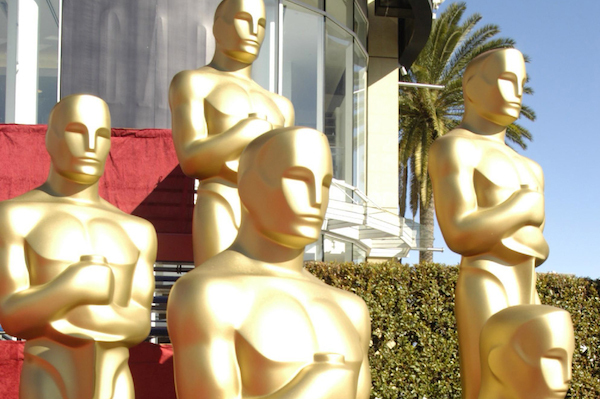 The queen of all awards shows is nearly here: the Academy Awards. While the Golden Globes might seem more lighthearted and the Emmys might bring together all our television sweethearts, the Oscars remain the most glamorous of them all. There is something about the mystery of who will win paired with that old Hollywood sensibility that makes this one of the most highly anticipated television events of the year. While there aren’t many Canadian nominees this year, many amazing women have been nominated for awards. So grab your girlfriends, mix some cocktails, and get ready to get tipsy and start tweeting things about Brad Pitt you’ll likely regret in the morning. Here are a few film-inspired drink recipes you can try, or experiment with recipes of your own! Whisk together, and keep refrigerated in a gorgeous decorative pitcher. You know… Gatsby style. Anyone’s speech gets cut off by music. Any winner thanks his or her parents. The camera pans to Brad and Angelina for no reason. Any winner thanks his or her agent. Jennifer Lawrence makes an “awkward” face for the camera. The camera pans to George Clooney. Any winner tells their kids to go to bed. Ellen DeGeneres does any kind of accent. Someone makes a Somali pirate joke. The teleprompter has a technical mishap. An actress laments how uncomfortable her heels/gown/corset is. When Idina Menzel comes out and sings — because that woman has the voice of an angel. Whenever an acceptance speech makes you cry. If the camera accidentally pans to the wrong actor or someone’s ex. When the Best Documentary Feature is awarded, in silent protest for Sarah Polley’s Stories We Tell not receiving a nomination. Note: SheKnows does not support binge drinking and recommends you drink and tweet responsibly. The cutest video of George Clooney!